"The IBAF Executive Committee voted unanimously to assign the title of world champion to the winner of the World Baseball Classic – a title that had been reserved for the winner of the IBAF Baseball World Cup, which essentially the Classic has now developed into. In a relatively short period, the World Baseball Classic has successfully been established as the pre-eminent international baseball showcase". According to Fraccari, the change is part of a “new spirit of collaboration and mutual interest” between the IBAF and Major League Baseball. 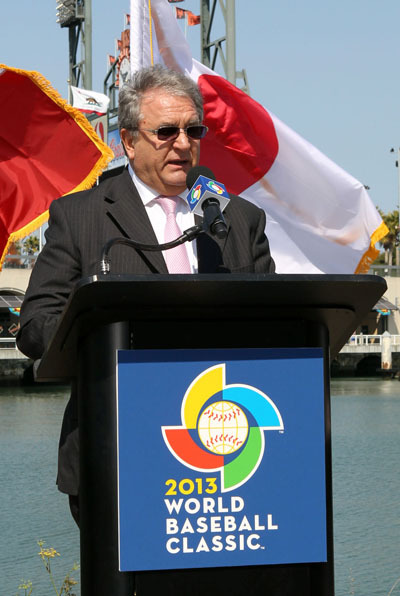 “We are actively discussing with the MLB and other important professional leagues around the world to make their top players available for the Olympic Games,” said Fraccari. “We are optimistic and confident that we can find a solution that is both realistic and feasible, but also in everyone’s long-term interests.” IBAF is studying a five to six-day competition for the Olympics – down from the 10-day tournaments staged from 1992 to 2008 – to better the chances the MLB will break for the Games.